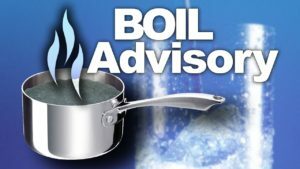 Within the past month Sarasota County and Manatee County have issued boil water advisories to those using county water. Hearing that your water may be carrying deadly bacteria is not a calming thought. What do you do? When will it be OK to consume? What about showers and baths? We at Healthy Water Systems will answer all of your questions. Water Utilities and Health Departments issue Boil Advisories when your municipal water supply has been exposed to bacteria or disease causing organisms (also called pathogens). Common reasons for a boil water notice include loss of pressure in the distribution system, loss of disinfection, and other unexpected water quality problems. These often result from other events such as water line breaks, treatment disruptions, power outages and floods. Typically, a boil water event lasts for 24 to 48 hours, but this can be longer. Your water utility and/or health department who issue the notice will provide specific information as to the cause of the issue and the duration. All of this can be scary and leave you with a lot of questions. What should you do? To properly sanitize your drinking water, you must heat water in a pot until it comes to a rolling boil. Once boiling, let the water continue for a full minute. After this, you may turn off the heat and let water cool. Store sanitized water in a clean container with a lid until used. Dispose of all ice made with contaminated water. Discontinue use of all water dispensers using municipal water such as refrigerator-front dispensers even if it has a water filter. Standard water filters such as Brita filters and those in your refrigerator are not capable of filtering viruses and bacteria. All filters must be replaced once the boil advisory is lifted. If the advisory is just boil before using, water may be used for showers and toilets. Be aware that any open cuts or sores and those with compromised immune systems may be vulnerable to foreign bacteria and must take sensible precautions. If your water utilities and/or health department sat DO NOT USE, do not use any untreated water for any use. What if I have Healthy Water? Bacteria that can make you sick are in the 3-5 micron size range. If you have a 1 micron filter, ultra-violet lamp or reverse osmosis (RO) you should be safe from any bacterial intrusion. Please note: it is recommended to replace any sediment/carbon filters immediately after the boil order is lifted as any bacteria it may have stopped will tend to colonize and foul the filter.